Hanoi (VNA) – National Assembly (NA) Vice Chairman Do Ba Ty paid an official visit to Iran from August 28-30. During his stay, Ty paid a courtesy visit to Speaker of the Parliament Ali Larijani, who spoke of the significance of the visit and the outcomes of the talks between Ty and Vice Speaker of the Parliament Ali Motahari. 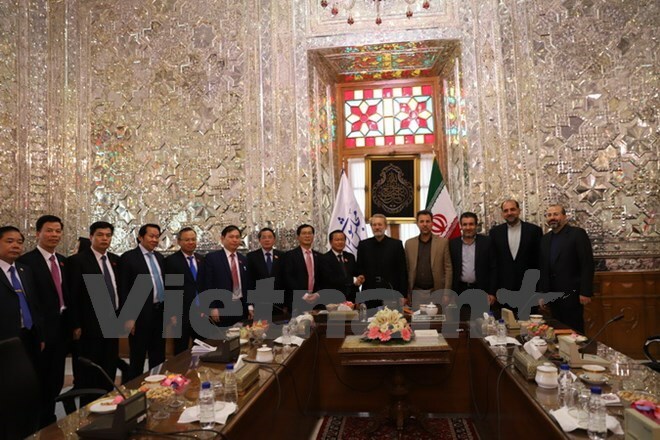 Speaker Larijani affirmed that Iran’s legislative body will cooperate with the Vietnamese side to boost the multifaceted cooperation between the two bodies and the two countries. Ty informed the host of cooperation orientations of the two legislatures in the time ahead, and conveyed NA Chairwoman Nguyen Thi Kim Ngan’s invitation to pay an official visit to Vietnam to Speaker Larijani. The speaker accepted the invitation, saying that the visit will be arranged through diplomatic channels. Meanwhile, at their talks, Ty and Vice Speaker Ali Motahari agreed to strengthen the two legislatures’ multifaceted collaboration through delegation exchange in order to share experience in legislative affairs, supreme supervision, and decision making. They requested parliamentary agencies to coordinate in overseeing signed agreements and contribute to raising two-way trade to 2 billion USD, and promote the roles of the Vietnam-Iran and Iran-Vietnam Friendship Parliamentarians’ Groups. 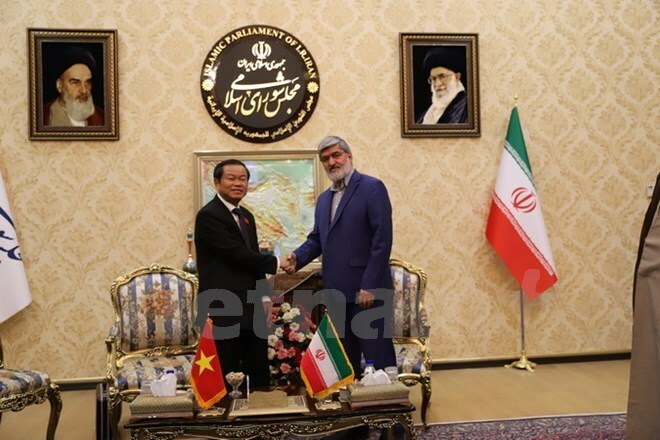 Iran always pays attention to developing its friendship and cooperation with the ASEAN nations in general and its comprehensive relations with Vietnam in particular, Motahari stated. He called on the two countries’ enterprises to expand investment in oil and gas, science technology and agriculture, while pledging to support Vietnam at United Nations and Inter-Parliamentary Union forums, and coordinate with the country and other ASEAN states to develop the region’s economy.